GM Holden’s workers will vote next week on a revised Enterprise Bargaining Agreement, which will curb the union influence within the company. The vote on the EBA changes, which was previously slated for this Friday, will include measures such as drug tests for workers, no longer providing conference facilities to union representatives, no more extended leave for union-related activities, and making “inefficiency” and “malingering” sackable offences, according to The Australian. The new conditions have been described as “harsh”, and are part of $15 million in savings that Holden has said need to be made to continue operating. Salaried workers will also be required to work reasonable overtime without any extra pay. cease manufacturing in Australia in 2016. John Camillo from the AMWU has told The Australian that Holden had wanted to go further with the changes to the EBA. 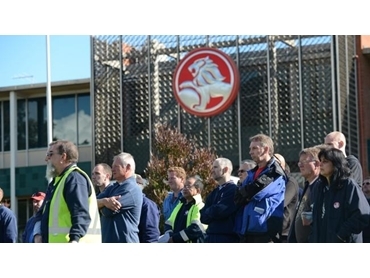 “In the beginning, Holden came after the unions big time, in regards to taking away a lot of the language that recognised the unions in the collective agreement," said Camillo. "Holden wanted to remove that, but we have managed to negotiate our way through most of them." The car maker has said that it is waiting until after the September 7 federal election to decide on re-tooling its Elizabeth factory over the summer break so it can produce two next-generation car models. Executives at its parent company, General Motors, are likely to meet in September, most likely on the 21st. It has been said that this meeting will decide whether or not Holden continues to make cars in Australia.